WorldSkills UK LIVE is not only home to the largest skills and careers fair in the UK but it is also where the finalists of the IMI Skill Auto competitions take to the stage in their final bid to win Gold! 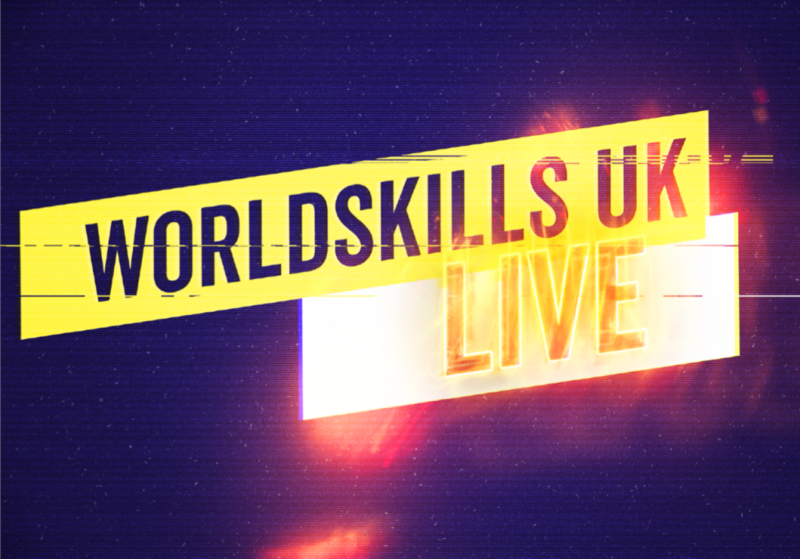 Come and see the IMI Skill Auto finalists battle it out to be crowned the UK’s top new technician in Automotive Technology, Heavy Vehicle Engineering, Body Repair and Refinishing at WorldSkills UK LIVE, the nation’s largest skills, apprenticeships and careers event! Taking place at the Birmingham NEC in November 2019, tickets are FREE and will be available here soon. 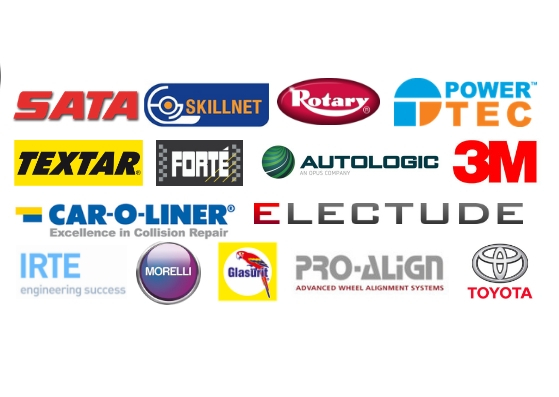 A huge thank you to our Skill Auto sponsors. Without their continued support, we wouldn’t be able to deliver such a fantastic competition. Come and see a different side to the automotive industry at Santa Pod Raceway in Northampton, the home of the fastest (and loudest) motorsport on earth! 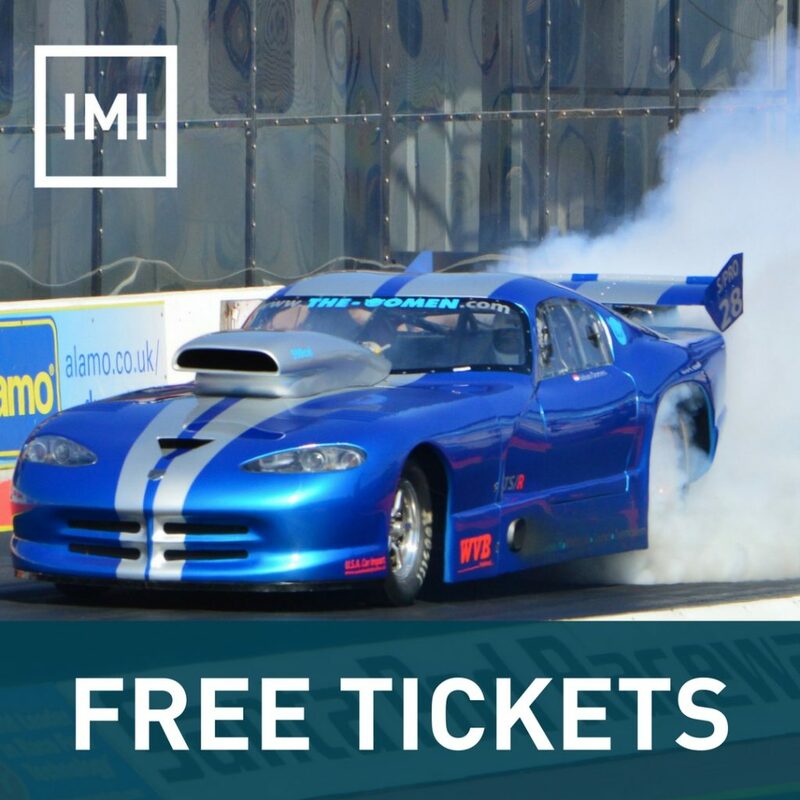 The IMI and Santa Pod are pleased to offer FREE tickets to schools and colleges on selected dates in 2019. It is recommended that the tickets are offered as a reward for students who demonstrate their commitment in terms of attendance, behaviour and learning while at school/college and are looking for a career in the automotive industry. Please note that the tickets are limited and are offered on a first come first served basis so please do book early. Please also see the above booking form for full terms and conditions. 2019 dates TBC – contact skillauto@theimi.org.uk for updates! Do you want to take a visit to the Henry Ford Academy and see what Skill Auto Light Vehicle Technology is all about? We have 6 spaces open on a first come first serve basis. You will need to get your way to and from the Henry Ford Academy and we will do the rest. WHEN: Friday 15th June 2018. TIME: 10:00am – 14:00pm (free to leave between the times too if need be). WHERE: The Henry Ford Academy, Daventry. WHAT’S INCLUDED? : Have a tour of Henry Ford Academy, Enjoy a nice free lunch, have a go at some Skill Auto tasks, speak to the professional judges and take home some freebies! Do you want to take a visit to Scania Training Centre and see what Skill Auto Heavy Vehicle Engineering is all about? We have 6 spaces open on a first come first serve basis. You will need to get your way to and from Scania Training Centre and we will do the rest. WHEN: Friday 20th July 2018. WHERE: Scania Training Centre, Loughborough. WHAT’S INCLUDED? : Have a tour of Scania Training Centre, Enjoy a nice free lunch, have a go at some Skill Auto tasks, speak to the professional judges and take home some freebies! Do you want to take a visit to Nationwide Training and Development Centre and see what Skill Auto Body Repair is all about? We have 6 spaces open on a first come first serve basis. You will need to get your way to and from Nationwide Training and Development Centre and we will do the rest. WHEN: Friday 29th June 2018. WHERE: Nationwide Training and Development Centre, Yorkshire. WHAT’S INCLUDED? : Have a tour of Nationwide Training and Development Centre, Enjoy a nice free lunch, have a go at some Skill Auto tasks, speak to the professional judges and take home some freebies! Do you want to take a visit to 3M Technical Centre and see what Skill Auto Refinishing is all about? We have 6 spaces open on a first come first serve basis. You will need to get your way to and from 3M Technical Centre and we will do the rest. WHERE: 3M Technical Centre, Warwickshire. WHAT’S INCLUDED? : Have a tour of 3M Technical Centre, Enjoy a nice free lunch, have a go at some Skill Auto tasks, speak to the professional judges and take home some freebies! Could your school or college design, brand and launch a new vehicle onto the market for a target audience? If the answer is yes then this IMI Competition is for you! 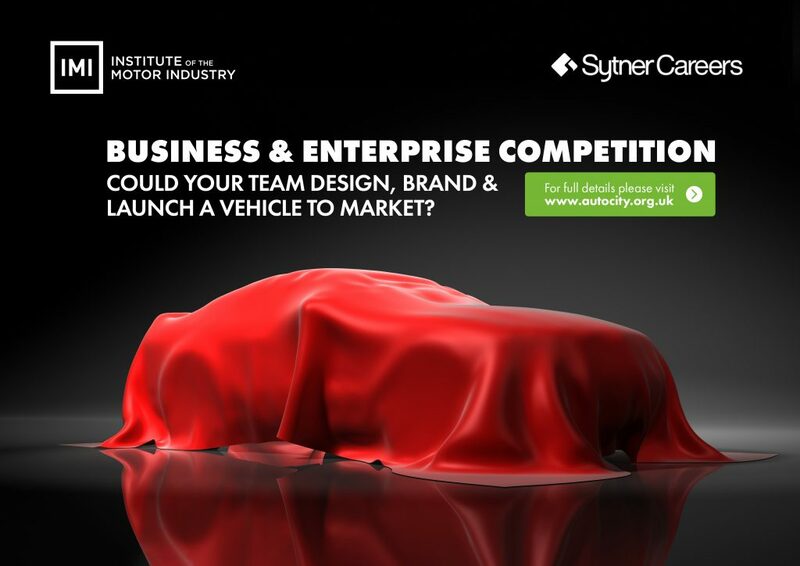 In this Business and Enterprise competition teams of up to 6 students will research, design and strategically plan the launch of a new vehicle designed for a specific target audience to bring to the market. Vehicles will be required to have a unique selling point for their chosen audience and include visuals and a plan to launch at an event. Pupils will be supported through the project by working through the downloadable competition planner to get the most out of the team’s ideas. The competition will focus and improve core skills such including teamwork, communication, leadership, employability and life Skills. Roles within the teams include Project Manager, Marketing, Researcher, Administration, Designer, ICT coordinator and Presenter. The winning team plus their teacher will be treated to an automotive industry related experience day out. Previous prizes have included a day trip for the wining team plus their teacher at Mercedes Benz World. During the day the team were treated to a VIP experience seeing exhibitions, using simulators and even a driving track experience! Your 2018/19 entry will need to be in before Friday 19th July 2019 for your chance to win! This competition can be run as a 90 minute lesson to support a Business Studies course, an extra-curricular activity or a group term project. CAN YOU IMAGINE WHAT VEHICLES WILL BE POPULAR IN 2050? What will they look like? How will they run? Will they have some features that are yet to be invented? 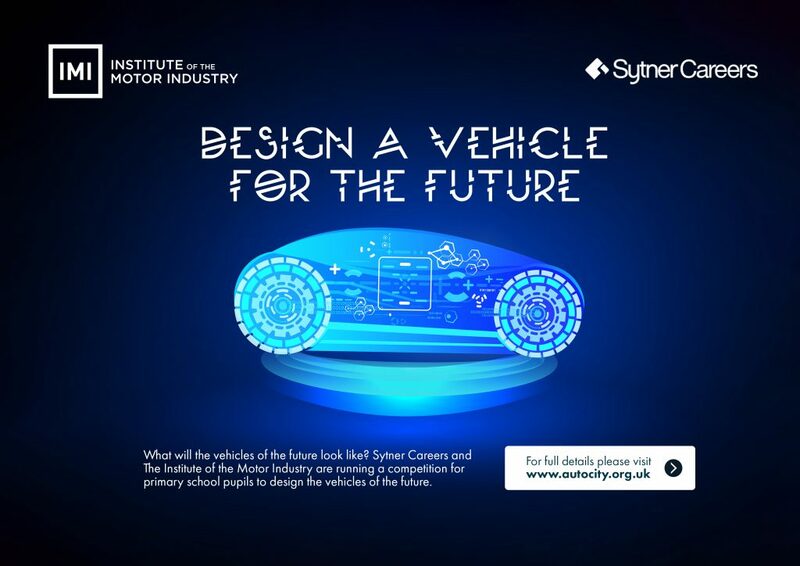 The Institute of the Motor Industry is asking primary school children to get creative and design a poster to promote their own car for the future. Your 2018/19 entry will need to be in before Friday 19th July 2019 for the chance to win! This competition can be run as a lesson to support school STEM requirements, an extra-curricular activity or a term project – the choice is yours! COULD YOU BE THE NEXT UK CHAMPION? Stage 2: ONLINE KNOWLEDGE QUIZ nominees will be sent a link to the online test which they need to complete 30 multiple choice questions in 30 minutes by 5th April. Stage 3: NATIONAL QUALIFIERS The top 30 scorers (Light Vehicle Automotive Technology) and the top 18 scorers (Vehicle Refinishing, Automotive Body Repair & Heavy Vehicle Engineering) from the online test will then be invited to attend a one day practical National Qualifier where they will complete 6 tasks and be scored by judges to showcase their practical skills and abilities. These events are held across the UK in prestigious venues and will require an overnight stay which will be booked and paid for by the competition. Stage 4: FINAL The top 6 competitors from each stream at the National Qualifiers will then progress to the live UK final held at WORLDSKILLS UK LIVE (formerly known as the Skills Show) at the Birmingham NEC, the largest skills and careers show in the UK. The finalists will be tested on their practical and theoretical knowledge over 2 days alongside 64 other competitions and crowds of over 80 thousand visitors. Stage 5: On Saturday evening the Bronze, Silver and Gold medals will be awarded to the IMI Skill Auto winners! Please note – will book and pay for your hotel accommodation and food at the national qualifier and final events. In addition competitors must have the drive and passion to be the best in the industry. If you meet the above criteria then the IMI Skill Auto competition is for you! Progression to World Skills The route into the World Skills International UK Squad is by competing in the IMI Skill Auto Finals at WORLDSKILLS UK LIVE. Entry requirements – competitors must be under the age of 22 in the year of the World Skills competition. For more information on the World Skills competition please click HERE.